My great-great grandfather on my mom's side was Charles Fuller. He has long been a thorn in my side. I have his marriage record to Georgiana Golding in 1858 in Lenham, Kent England. You can read more about Georgiana and the confusion over her surname at "What About The Women"
The marriage certificate states that Charles is a labourer, "of age" (meaning over 21) and that his father is John Fuller, a labourer. I have researched the witnesses and they are connected to Georgiana's family so no help re Charles. Charles is found in Lenham in the 1861, 1871, 1881 and 1891 census records. Believe it or not there is more than one Charles Fuller of the same approximate age running around Lenham while my Charles is there. But the census proves that I have found the right Charles since his wife in 1861, 1871 and 1881 is Georgiana. She isn't in the 1891 census as she died in childbirth in December 1882. The 1891 Charles is a widower with children who match children in previous census years so his residence areas are known from 1861-1891. But here's the catch - in each of those census years he gives a different place of birth and of course, just to be difficult, his ages don't match up exactly. Neither of these two discrepancies concern me in terms of thinking I have the wrong Charles Fuller. But what they have done is make my search for Charles' parents much more challenging! He should be in 1841 and 1851 census. Remember, his father was John according to the marriage certificate and he did not marry Georgiana until 1858. At the very least he should be found as a 10 to 14 year old in 1841, hopefully with parents. 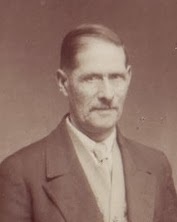 In 1851 there is more than one Charles Fuller who could be my great-great-grandpa but the best fit is a 25 year old single man born Faversham and living in Lenham as a servant in the home of a farmer named Edward Buss. In 1841 there are several Charles Fuller individuals who "fit" the requirements to be mine. But the best fit is a young boy Charles Fuller age 14 living in Lenham with his mother Sophia age 50 and sister Harriet age 12. Since Sophia is not with a husband and English marriage records don't give a mother's name, I can't be sure this is the right family. I do find Sophia Fuller in a later census with her husband John. This fits but there is still no proof this is the right set of parents for my Charles Fuller. I need a birth record and even that would not be final proof since there are a number of men named Charles Fuller all born around the same time. This is truly my proverbial "brick wall". I welcome any ideas or suggestions for me to pursue. This is the 8th photo in our collection of rescued photographs of the Hooper and Squires families of St. Mary's Ontario Canada. I'm sure this is 3 sisters but am not positive who they are. Perhaps a reader familiar with the family can help. 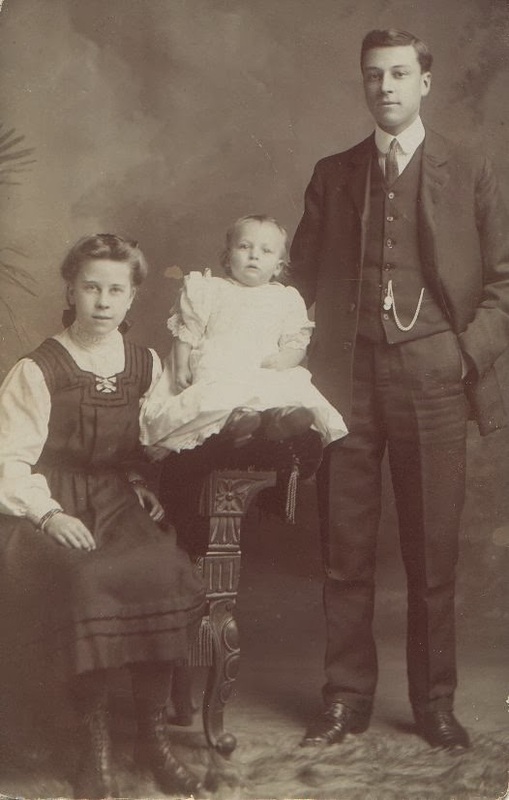 To view all the photos in this collection as they are published here on Olive Tree Genealogy blog, click on Hooper-Squires Photo Archives link. Olive Tree Genealogy Interviewed on HackGenealogy! I am thrilled and honoured to have been interviewed on HackGenealogy. If you ever wanted to know about my technology and my genealogy thoughts, now's your chance. Head on over to HackGenealogy for a peek into my life. You can also read my 5 tips for genealogists. "... about sharing technology resources, discussing our personal interactions with technology, and moving the entire genealogy community forward in terms of how it embraces technology." New on Ancestry.ca and Ancestry.com ! Great news. Ancestry.ca and Ancestry.com have just published the St. Lawrence Steamboat Company Passenger Lists, 1819-1838. The St. Lawrence Steamboat Company transported passengers and freight along the St. Lawrence River between Montreal and Quebec. 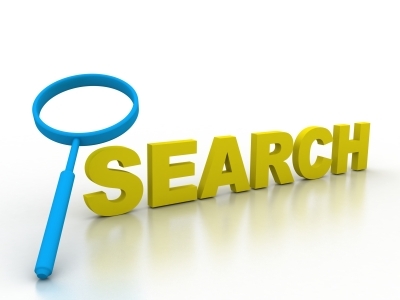 The images are available to view and a search engine is provided so you can search by ancestor name. 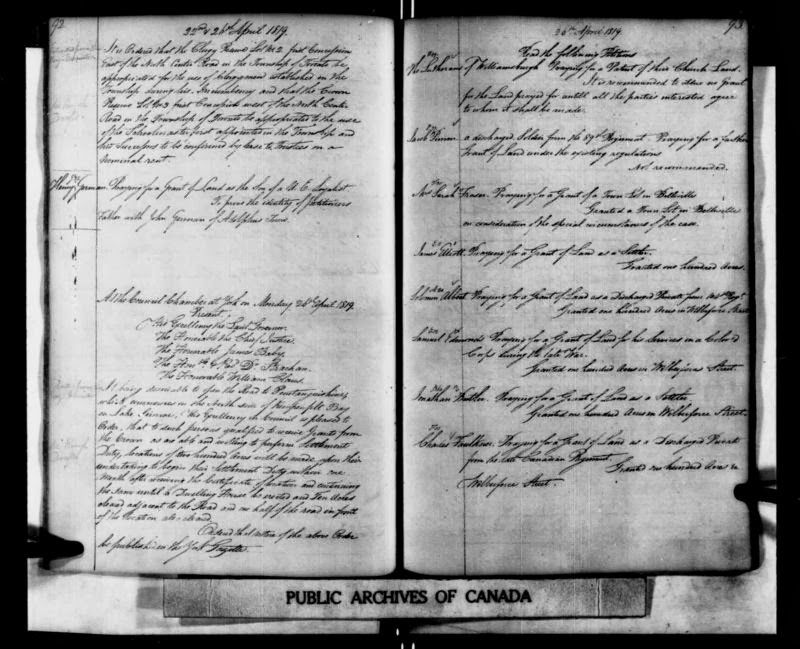 Since ships passenger lists to Canada were not archived before 1865 this set of records can help you find an ancestor who arrived from another country and was continuing on his or her journey. See Filling in the Gaps for other substitute ships records for this time period. 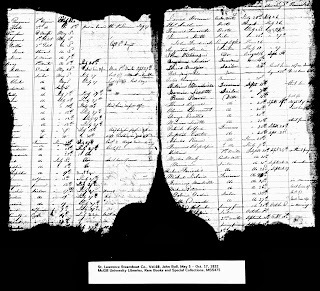 The St. Lawrence Steamboat Company Passenger Lists usually contain the name of the passenger, abbreviations for ports of embarkation and destination, fare, amount paid, and remarks. You can also see whether they were traveling in steerage or in a cabin, and the dates of travel. As you can see from the image above, the pages with passenger names are in rough shape. So if you search by name and have no results, you may want to browse the images to see if you can spot the beginning or ending of a familiar name. As well, sometimes only a first name was legible to the transcribers, so consider searching by time period and only a first name. Sometimes only a first initial was used, for example Alexander Smith might be recorded as A. Smith. So it is wise to search only by last name and a time period. As well, Sue Swiggum, of TheShipsList.com has been transcribing the St. Lawrence Steamboat Company Passenger Lists for almost 10 years now and researchers will want to check her transcriptions too. Readers may be interested in participating in knowing that Photo Detective Jayne Shrimpton analyzes two user-submitted photos every month. To submit a photo you must register with FindMyPast but there is no charge for registration or the photo analysis. A recent class action settlement between the Province of Ontario and previous residents of the Centre resulted in an agreement to provide a Registry of Deaths. It is not clear if this registry will be made public. 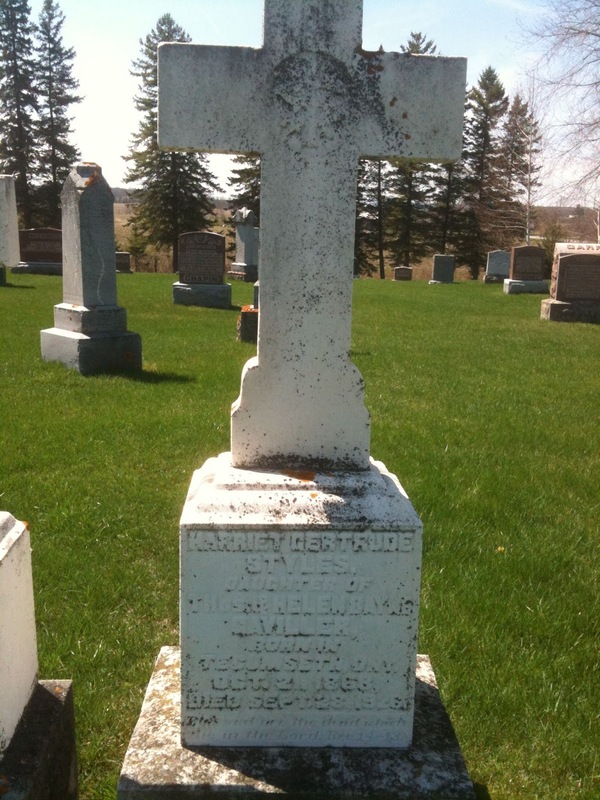 When a resident died and was buried on the Institute grounds, a small numbered marker was all that was erected. There were no names recorded. Eventually many of those numbered markers were removed and used to create a sidewalk. 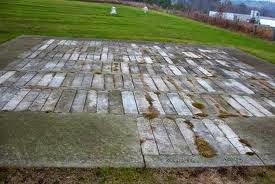 In the 1980s a chaplain had the markers taken up and laid in a large square so that they formed a memorial rather than being used for a walkway. But those who died have been, for the most part, forgotten. Their actual burial locations are not known. The handwritten register contains the names of the deceased along with their burial number but there are many errors. Some numbers have been assigned to two different people. Genealogy Roadshow premiered last night on PBS. I was able to watch it and I was impressed! 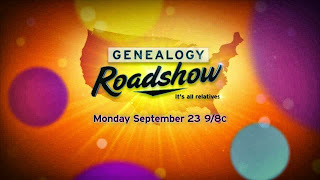 The show features ordinary people who line up for a chance to have one of their genealogy mysteries or questions answered. Last night's episode took place in the Belmont Mansion in Nashville Tennessee. If you've ever watched Antiques Roadshow you will have an idea how the show works. The participants submit their questions in advance and then take turns either sitting at a table with one of the two genealogists, Kenyatta Berry, president of the Association of Professional Genealogists (APG), and D. Joshua Taylor, president of the Federation of Genealogical Societies (FGS). Participants vary. One was a man who had a photograph of a black man and a small white boy. They were identified on the back as "Uncle Fayte" and ( I forget the little boy's name but the owner of the photo knew who he was). The man's question was who was this "Uncle Fayte" and how was he connected to the family. This was actually my favourite segment in the show. The photo was very poignant as the little boy seemed so happy in the man's arms, and the man himself had a lovely half-smile on his face - very unusual for such early photographs. A lovely surprise awaited the gentleman who owned the photo as the research team not only found out who Uncle Fayte was, they tracked down a living 3rd great grand-daughter and brought her to the show. Another was a woman whose family lore was that they were related to George Washington. A very touching segment involved a young woman who had never met her father. The behind-the-scenes research team had not only found photographs of him from childhood to adulthood, they found his sister and a living niece. She was brought to the show as a surprise to the young woman, and presented her with a lovely scrapbook of photographs about her father. Some of the participants were disappointed to learn that they were not related to a famous person. Family lore was shot down but kudos to the show's producers for allowing this! 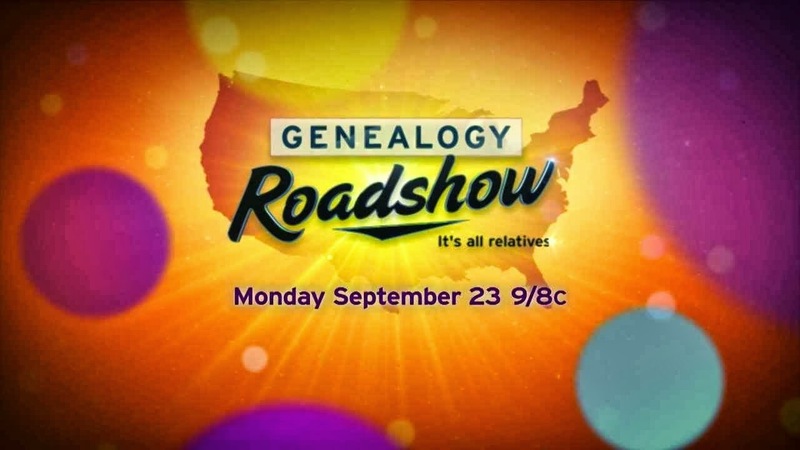 It's refreshing to see a show that is "real" in the sense that often our family lore is incorrect, or mixed up, and beginning genealogists especially need to realize that they may find facts they don't like as they continue their research. To nitpick, I wasn't sure I liked the "audience" standing around the table watching and applauding while Josh or Kenyatta spoke to the participants. And I definitely did not like the music! But those are two very minor complaints. All in all, it was entertaining and informative and I will definitely be watching next week's episode. The show airs on PBS at 9 p.m. Eastern. You may recall that the goal I started with in my search for Jonathan Butler, a man of colour, was to create a timeline of his whereabouts before 1824 and after 1840.
ca 1808 Jonathan arrives in Upper Canada (present day Ontario), possibly coming directly from Pennsylvania (as per his land petition) Whether he came as an adult or a child with parents is not known. March 1816. 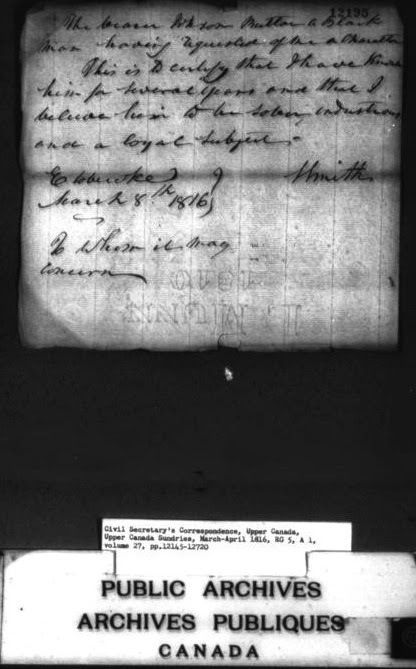 Jonathan is found in Etobicoke (just west of the city of Toronto), possibly leasing land from Col. Samuel Smith (as per Character Certificate). Jonathan was almost probably at least 21 years of age at this time, thus a very rough estimate of his year of birth would be 1795 or earlier. March 1819. Jonathan is a farmer with 50 acres in Toronto Township (as per his land petition). Toronto Township has the Etobicoke River on its eastern boundary. I believe this is possibly land he leased from Col. Smith. 1832. A son George is born in Toronto Township. I find no trace of Jonathan after 1840. It is not known when his wife Elizabeth died and the only record of her is the mention in the 1851 baptism of their son Allen. The only children found in the 1851 census (which is incomplete with many missing areas) are Allen, George and Harry/Henry Butler. In the 1839 Assessment they are listed as belonging to "other religion" which may mean they were attending a black church. They are also listed as "unbaptised or not belonging to any denomination"
There is much research still to do and hopefully many more clues and facts to uncover. I urge others facing their own challenging ancestral searches to develop a timeline as I've done. Record your facts and your clues, being careful to note whether something is proven, a theory or supported by circumstantial evidence. Then sit back and study and analyze your findings. You will be amazed at what sudden "aha" moments occur! Organizing your findings will more easily guide you to where you might look as your next step in solving the ancestral puzzle. On to Upper Canada Sundries! And once more I got lucky. In the Sundries I found a Certificate of Character for J. Butler, a black man. It was dated March 1816 and noted as in Etobicoke. That was a huge clue! Etobicoke is on the outside western edge of the city of Toronto. I was getting closer to figuring out exactly where Jonathan lived. Another clue in this small document is that signer indicated he had known Jonathan for several years. We're slowly narrowing down his immigration from Pennsylvania to Upper Canada *if* this is our man. This document does not provide a full first name but in 1816 there were very few people in the Toronto township area, and even fewer black men named J. Butler! As well the date of the certificate fits well with Jonathan's petition for land. After the War of 1812 those born in the USA had to either sign an oath or provide a certificate of character and loyalty to the Crown. After mulling on this new find I realized that the man who signed the Certificate of Character had to be someone who knew Jonathan fairly well. That meant it was likely to be a neighbour. Therefore if I could read the signature, I could try to find land records for the person signing. That might give me a more precise location for Jonathan in 1816! I concluded that the signature was "S Smith". The first "S" is a very strong straight line S joined to the S in Smith, making it look like a stylized "H" But comparing the signature to the rest of the document leads me to believe it is definitely S. Smith. That meant I was looking for an S Smith in Etobicoke. My research found that a Col. Samuel Smith was granted a huge area of land in Etobicoke which he partitioned into smaller sections and leased to early settlers. Etobicoke was right on the border of the exisiting city of Toronto and it seemed very likely that this is where Jonathan had settled after leaving Pennsylvania. A check of a map of Toronto Township shows that the Etobicoke River runs along its eastern border. An 1881 map of Toronto Township reveals that Samuel Smith's son or grandson B.S. Smith owns a large tract of land bordering that same river, close to Lake Ontario on the south. The clues are coming together at last! My next step was to prove that the Certificate of Character for Jonathan had indeed been signed by Col. Smith. If it was, it was very strong circumstantial evidence that Jonathan was one of the settlers who leased land from the Col. It was easy to find signature samples from Col. Smith. He was an important figure in early Ontario history and as such, signed many documents. You can see a sample of his signature from a 1796 document above. My vote is yes they are the same man. The "S" in Saml. is almost identical to the "S" in Jonathan's Certificate. It is a hard straight line sharp pointed S.
And there you have it. This is how I have narrowed my search for Jonathan Butler's whereabouts in Ontario before 1837. A lot of what I have found is circumstantial but as this evidence piles up, each piece adds more weight to what I found previously. My next step is to find a list of the settlers who leased land from Col. Smith. I might get lucky and find an exact location (lot and concession number). I may have to look further, check other records to find this information but I am hopeful it can be found. It just needs patience and creative thinking. Oh, and not jumping on a "fact" without solid proof or a whole lot of circumstantial evidence to support it! I hoped to find an exact land location because then my search could extend to the Abstract Indexes to Deeds. That would allow me to learn exactly when Jonathan obtained his farm land and under what conditions, and when he left and who the land passed to. But the only clues were vague..... "West of Grand River" and a possible lot number of 88. Jonathan could not be found after this 1840 assessment. There are no early census records for Ontario before 1851 although there is an 1841/1842 and an 1848 Census which is head of house only. Many of the 1851 census records are missing for several locations so that quickly became a dead end. For several years I was stalled. I mulled over what I had found. I did a lot of examining and re-examing the records I'd found, thinking about my next step. I didn't know where in Toronto (or Toronto Township) Jonathan had resided. It seemed to me that land records were the answer but Jonathan was nowhere to be found on the few indexed records available. 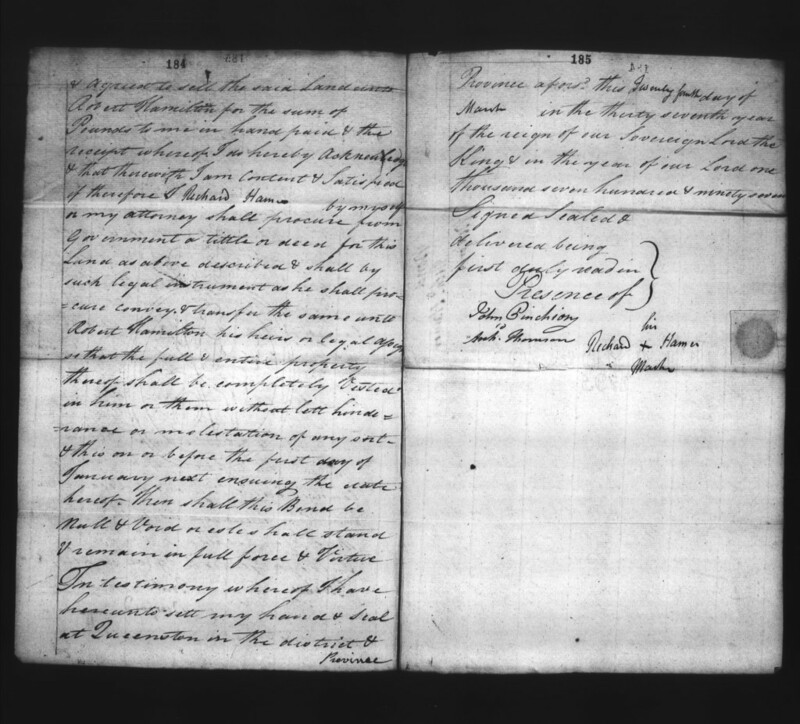 I knew that a Jonathan Butler had been granted land in the Wilberforce Settlement which was an area of Ontario settled by men of colour as early as 1819. But was this "my" Jonathan Butler? And then a break. Gary French, the author of "Men of Colour: An Historical Account of the Black Settlement on Wilberforce. Street and in Oro Township, Simcoe County, Ontario 1819-1949", wrote to tell me had found what he was sure was Jonathan's petition for land, and that it gave information on his origins in the USA. 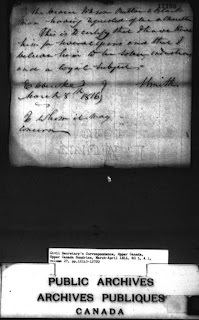 March 9, 1819 Petition for Land Johnathan [sic] Butler, farmer of Toronto Township, Home District. Has a farm of 50 acres, has developed 30, desires some Crown Land. Is a man of colour, a native of Pennsylvania, been in the province upwards of 11 years. 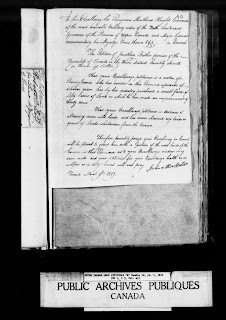 This wonderful document narrows the time of Jonathan's arrival in Upper Canada, making his immigration year circa 1808. It also reveals that he lived in Toronto Township and not the city of Toronto. A close look of the envelope containing this land petition revealed, in very tiny hard-to-read writing: Entered in Land Book K, page 93 which is C-103, Vol. 29. Granted 100 acres in Wilberforce. And now the question: Men of colour who were granted land in Wilberforce were War of 1812 military men. Jonathan Butler was the only non-military man granted land there. Why was he included? Armed with these new facts, I next went through the online Land Books on Canadiana.org, which believe me is not an easy or quick task. They are not indexed, but I was able to narrow my search to Land Book K on film C-103. From there it was a case of scrolling until I found the reference to Jonathan on page 93. 26 April 1819. Land Book K page 93: Jonathan Butler praying for a grant of land as a settler. Granted 100 acres in Wilberforce Street. The entry did not reveal much more than the original petition in March but that's the thing with genealogy and family tree research. You must track down and follow every clue, every reference, no matter how small. Sometimes you find something huge, sometimes nothing at all. But if you don't retrieve the document you will never know what you might have missed. Although Jonathan was granted land in the Wilberforce Settlement, Gary French tells me it does not appear he ever lived there. But finding the exact location would give a date he gave the land up and that might lead to knowing when he went to the Queen's Bush settlement in Waterloo. My husband has a black ancestor, his 4th great-grandfather Jonathan Butler. For the past 5 years I've been struggling to find all I can about Jonathan. I say "struggling" because Jonathan came from the USA to Upper Canada (present day Ontario) before 1824. He then disappears after 1840. So I have a very limited timeframe in which to search. 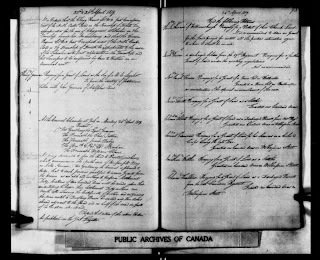 For those who haven't searched for early Ontario ancestors, the records are difficult to find -- if they even exist. Ontario was not settled until after the American Revolution so those are early days in our province's history. Thus they are early days for record taking and archiving. What has survived is scattered in various repositories and much of it is not indexed. One of the first things I wanted to do was construct a timeline of events for Jonathan. Where was he living during that limited time frame 1824-1840? Could I extend that timeline? I'd so far been unable to find earlier or later records for Jonathan. My hope was to find out where he came from in America, perhaps even where he was born. A year of birth would prove helpful too. What I knew about Jonathan was limited. His son Johannes Alexander Allen (known as Allen) was born in Toronto in 1824. [source: Allen's adult baptism into the Catholic Church January 26,1851 at St Agatha, Wilmot Township, Waterloo County] This record was not clear as to whether or not "Toronto" referred to the city of Toronto or the township and although it seemed far more likely to be a reference to Toronto Township, it was important that I keep this in mind as I carried on with finding clues to aid me in further research. 1837 Assessment same place as "Jonathan Butler"
1838 Assessment same place as "Jonathan Butler"
1839 Assessement same place as "Jonathan Butler (Black)"
1840 Assessement same place as "Jonathan Butler (Black)"
It appeared that Jonathan's children were not old enough to be much help clearing land in 1834 and earlier. His owning 100 acres provided some circumstantial "glue" to my theory that he had previously lived in Toronto Township, not the city of Toronto. A farming man would be unlikely to live in the city. Recently I've been working on a genealogy research project for a client. It's been a lot of fun with some very interesting and intriguing ancestors found. One ancestor helped guard Napoleon during his exile. One wrote poetry and had a book published in 1857. I was lucky enough to find a few of his poetry online and have added that to the client's book which I am creating on Shutterfly. Along the research path I've encountered new areas of research that were unfamiliar to me. I've heard of them of course but had no previous experience researching in the specific location or time period. One was Acadians and I have found the history of the settlement fascinating! The Filles du Roi and Carignan Soldiers also popped up as part of his ancestry. I too have a Filles du Roi so I'm familiar with that history but it was still interesting to learn even more. I've had to decipher early records written in French and in Latin. Luckily here in Canada we are taught French in school so I can read the important bits. And thank you Mr. Finley for your Latin classes in High School! You were a tough teacher but now I'm grateful. But here's the thing that blew me away. As I was carrying on with the research I found that my client and I share a common ancestor! Our shared ancestor is Jacques Hertel born 1604 in France and died in 1651 in New France (present day Quebec). My line of descent is from Jacques' daughter by a Mohawk Indian woman, while my client is from one of Jacques' children by his wife. My client's ancestry on his dad's side is solidly Quebec and Acadia. Mine is not. Mine on my dad's side is early Dutch settlers in New Netherland (now New York) in the mid 1600s then on to Ontario after the American Revolution. How odd that the client and I should share an ancestor given that our ancestry does not take the same path. And that's one of the many things I love about genealogy. It will always jump up and surprise you. 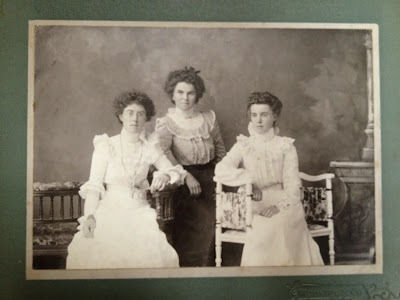 Recently on Facebook, an impromptu bit of fun began among the genealogy bloggers and enthusiasts. One well-known genealogist Elizabeth Shown Mills started it by posting a high school graduation photo of herself. It was great to see what she looked like as a teen (gorgeous!). Then the rest of us followed suit. It was so much fun to see the hair styles from the 80s, the 70s and yes, the 60s! Everyone looked so pretty and full of enthusiasm. Some of the male bloggers followed suit and they were equally adorable. They ranged from cute geeky nerdy to sweet young boys. I don't have grad photos but I did share one of me from first year University. I like how it shows my hair in the style of "the Flip"! You'll see why I like that a bit further down in this blog post. I had to scotch tape my wet bangs to my forehead to try to make them dry straight. Lucky me, my hair naturally flipped up. There were many of my friends and colleagues who couldn't find an early photo of themselves or who knew where one was, but didn't have it scanned. And that leads me to my plea to you. It's time to scan your family photos! Don't leave it for some fay in the future. It's easy to put off something like organizing and scanning your own photos. It can be boring. There are other more important things you want or need to do. But I strongly urge everyone to start the project now. And a good way to get organized and motivated is to take your Flip-Pal Mobile Scanner and your box of old photos, turn on your favourite tv program, get settled on the couch and start scanning while you watch tv. If you don't have a Flip-Pal Mobile Scanner , now's a good time to buy one. Buy it for yourself as an early Christmas present. Right now there's a coupon so you're in luck. he coupon code is: Fall22 and it is good for $25 off the Flip-Pal Mobile Scanner with Digital Creativity Suite and a Deluxe Carrying Case! There is also SundayScanDay group on Facebook. They meet "virturally" every Sunday at 3pm CT [4pm ET / 2pm MT / 1PM PT] for one hour in order to scan photos, documents, etc. It's much more fun to scan when you have company. There is another virtual group called ScanFest run by Miriam Robbins but I have not been able to find a location to give you. Perhaps one of my readers knows where and when this is held. FamilySearch has recently added more than 2.7 million indexed records and images from Brazil, England, Germany, Italy, Mexico, Peru, Portugal, Spain, and Switzerland. 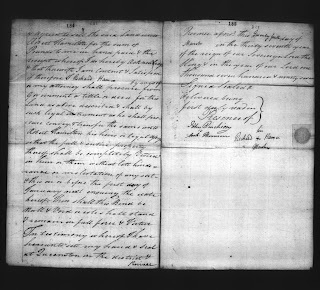 Notable collection updates include the 1,459,211 indexed records and images from the England, Derbyshire, Church of England Parish Registers, 1538-1910, collection, the 534,245 indexed records and images from the new Mexico, Aguascalientes, Civil Registration, 1859-1961, collection, and the 172,333 indexed records from the Italy, Napoli, Civil Registration (State Archive), 1809-1865, collection. Search these diverse collections and more than 3.5 billion other records for free at FamilySearch.org. Don't Miss RootsTech 2014 Coming in February! Registration is now open for RootsTech 2014, which will be held on February 6-8, 2014, at the Salt Palace Convention Center in Salt Lake City, Utah. This annual family history conference, hosted by FamilySearch, is a unique global event where people of all ages learn to discover and share their family stories and connections through technology. Did you miss RootsTech 2013? Watch archived streaming videos from RootsTech 2013. This is an endearing story that should inspire all genealogists. 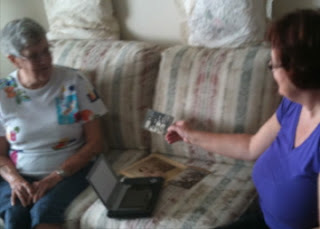 A Passion for History is the story of the journey one woman took into genealogy and helping others. "What started as a way to entertain guests at a 50th anniversary party has turned into a lifelong passion for Rose Marie Hulse." sums it up. Her family tree chart done for that Aniversary party for her parents was the first of what I like to call "the Domino Effect". One thing led to another. Rose joined a genealogy society in Nebraska. Then she joined the Nebraska State Genealogy Society. Eventually she organized and founded the Fillmore County Genealogical Society. Eventually Ms. Hulse began recording cemeteries and her transcriptions turned into published books. · An additional 532 million free genealogy records from around the world are now searchable. In total, the Genealogy Search Engine indexes 2.7 billion records from over 1,000 websites. · In a first for a genealogy website, the entire Google Newspaper Archive can now be searched by the Genealogy Search Engine. This extremely valuable archive covers over 2,000 historic newspapers going back as far as the 1700s. · The massive Australian Trove archive can now be completely searched with the Genealogy Search Engine. To learn more about the latest upgrades to the free Genealogy Search Engine, read SearchOver 500 Million More Records. Learn more about GenealogyInTime Magazine. Canadiana.org erred in their description and their finding aid for this wonderful set of records so I spent several days going through each online microfilm and creating a corrected Finding Aid. As mentioned in that earlier blog post I also noted where each Volume began on each Microfilm. I have the first set ready for genealogists to use to more easily find the set of records they are interested in. Here is the detailed listing for Microfilm H1133 Volumes 1-6. You can access this online film by using the link provided. As an aside, I contacted Canadiana.org on August 30 about the errors, offering them my corrected Finding Aid. I've had no response to my email so apparently they are not interested in correcting a serious error on their site. Whoever manages their Twitter account tweeted me when they saw my blog post saying "someone" would be contacting me to discuss the problem. But that has not happened. So I will continue correcting their errors on their site and publishing the correct details and Finding Aids here on Olive Tree Genealogy blog and on my Olive Tree Genealogy website. --I loved the Who Do You Think You Are? episode with Jim Parsons. Who Do You Think You Are? is brought to television by Ancestry.com and TLC. When we went digging into Jim Parsons’ family tree we found his third-great-grandfather was Jean Baptiste Hacker, a physician who was raised in New Orleans but moved to Plaquemine, Louisiana, after starting his medical career. 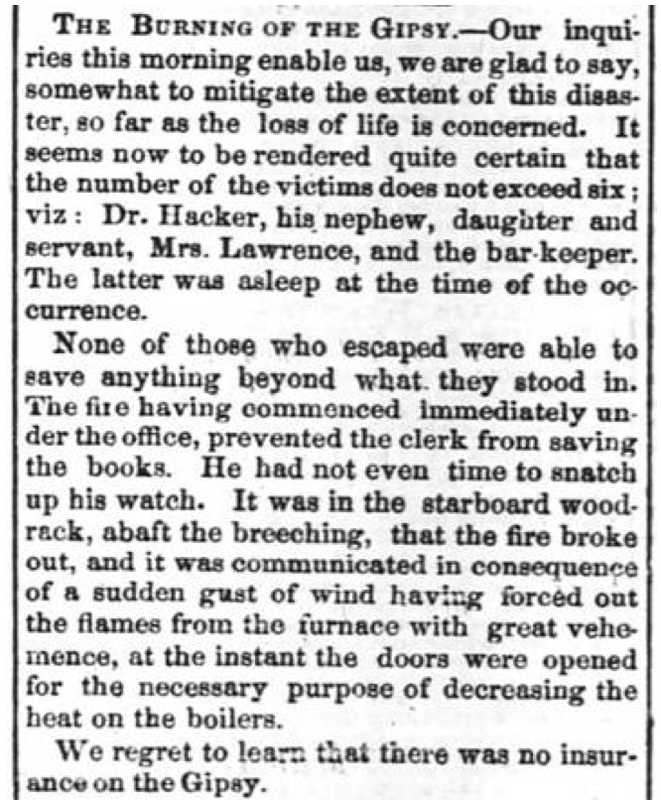 Just a few years later, Dr. Hacker, along with his daughter Leocadie and his nephew, was killed in a tragic fire on board the steamboat Gipsy in December 1854. 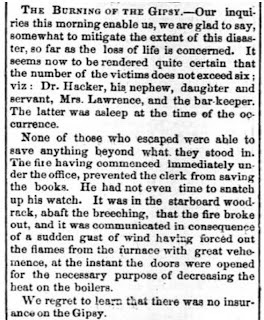 Using newspapers, we were able to document the accident in an article titled “The Burning of the Gipsy” on the front page of the Daily Picayune newspaper in New Orleans. The story was also printed in newspapers across the country, such as the Liberator in Boston, Massachusetts. Newspapers provided facts about the event that could not be found in any other record. We also used online newspapers to learn about historic events that occurred in places where the family lived, such as the yellow fever epidemic in Plaquemine in 1853. Newspapers can provide context and color to your family story, as well as obituaries and notices of marriages, births, graduations, court proceedings, and other noteworthy events in an ancestor’s life. And they are getting easier to find each day as more and more titles are digitized and added to online collections. Watch the full episode on TLC.com. 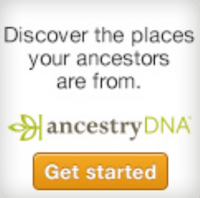 Labels: Ancestry.com, Jim Parsons, Newspapers, TLC, TV Series, WDYTYA, Who Do You Think You Are? Who Do You Think You Are? on TLC picked up for another Season! Who Do You Think You Are? on TCL in partnership with Ancestry.com has been renewed for another season. TLC has ordered another 10 episodes of the show from Dan Bucatinsky and Lisa Kudrow that’ll show in 2014. This year Who Do You Think You Are? averaged 1.8 million persons. This is great news, and I am quite excited about the next season. 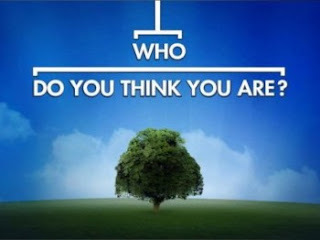 Labels: Ancestry.com, TLC, TV Series, WDYTYA, Who Do You Think You Are? Who Do You Think You Are? on TCL in partnership with Ancestry.com tonight is going to feature Sheldon --- I mean Jim Parsons! Tonight's episode will explore ancestors on his paternal side of the family. The Emmy-winning actor travels to Louisiana and eventually France, where he makes some astounding discoveries. I am super excited about tonight's show and am already planning what nibbles hubs and I will enjoy while it's on. Did you miss National Archives Virtual Genealogy Fair? Did you miss National Archives (NARA) first virtual Genealogy Fair last week? Not to worry as all the sessions are available online on Ustream. This is something we rarely read about. Archaeologists have uncovered traces of books lost when the Canadian parliament in Montreal burned down in 1849. 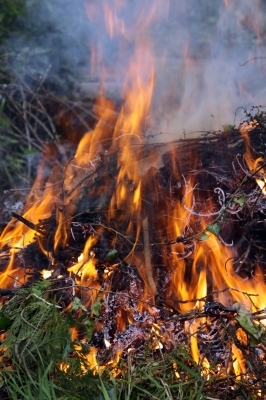 So far the charred remains of seven books have been found. Parliament eventually moved to Ottawa but for a short time Montreal was the home. Recently FamilySearch and Ancestry.com announced a 5 year partnership to digitize over 1 billion records and publish them online. As is often the case the nay-sayers, those who think anything Ancestry.com touches is evil, came out of the woodwork with doom and gloom accusations and prophecies. 1. Why should I do any volunteer transcribing for FamilySearch if they are just going to let Ancestry.com put them online and charge for them??? 2. So now FamilySearch is going to start charging us to see their records??? 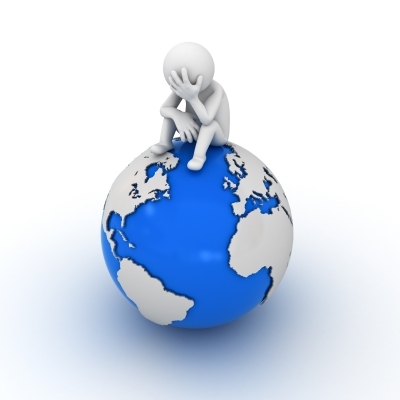 Well thanks to FamilySearch posting on their blog we have the answers to these concerns. A quick read will show you the concerns are unwarranted. Yes folks this is a GOOD THING. We will have access to many more records than we had previously. And the new records will be FREE to view. Always. A Manx Notebook is my latest genealogy find. It would be listed under Featured Database but it's so eclectic that instead I'm creating a new topic for my Olive Tree Genealogy blog called Fabulous Finds. Anyone with ancestors from the Isle of Man will want to visit this site. I have spent the last two days poring over the vast wealth of material found on its pages and I'm still making discoveries. 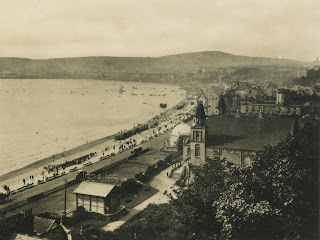 Francis Coakley is the person behind this site which is titled "A Manx Notebook: An Electonic Compendium of Matters Past and Present Connected With the Isle of Man"
There are wills, church records, biographies, maps, Directories - and the list goes on. Don't miss this wonderful site for your genealogy research.